Many companies say they want to hire workers, but are struggling to find the right people. So why are these positions so difficult to fill? There's a major dilemma facing the job market, and General Electric CEO Jeff Immelt is trying to bring it to light. About 14 million Americans are unemployed, yet 3 million job openings remain unfilled -- an imbalance that Immelt has said is partly because employers can't find workers with the right skills. The "skills mismatch" is a challenge even at GE, which has had a hard time finding the right employees. 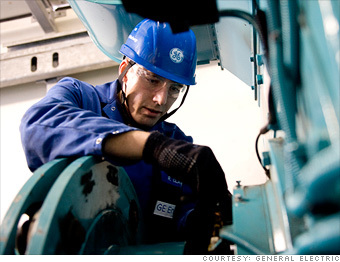 Right now, GE is looking for Advanced Manufacturing Engineers, or AMEs, to work in Greenville, S.C. But the company says it takes between six to nine months to fill the positions. That's because competition is fierce for engineers. GE prefers its AMEs have at least a Bachelor's degree and five years of experience in processes like coating, casting, welding and machining. Candidates with those skills are hard to come by, and the company often has to fill the gaps with extra training. After getting fed up with the sluggish U.S. economy, these job seekers try their luck elsewhere.